Over the last five years, Lebanon has been in the midst of a solar energy revolution. Solar Photovoltaic (PV) technology, once considered to be expensive to install and operate, has become increasingly cost-competitive in a relatively short period of time. 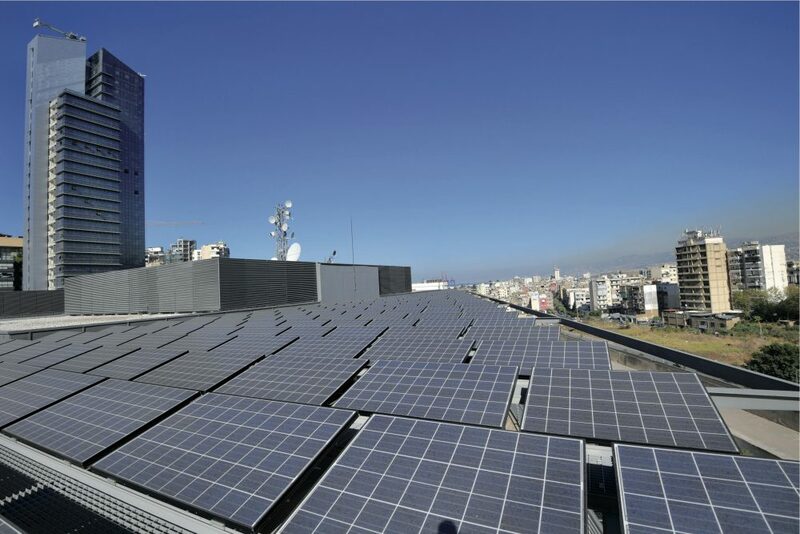 In late September 2016, the United Nations Development Programme’s (UNDP) Decentralized Renewable Energy Generation Project published Lebanon’s first Solar PV Status Report, which detailed the year-over-year market growth at 149 percent for 2015, with a total installed capacity of 9.45 mega-watt and a total investment amount of $30.5 million. To further understand the dynamics of the market and anticipate its future outlook, the report examined the cost, financing, growth and sector share of Solar PV. One of the report’s key findings is blatant: the industrial sector has a lot of potential to unlock through investment in Solar PV. The cost of installing and operating Solar PV systems has been steadily declining in Lebanon, in line with the rest of the world. 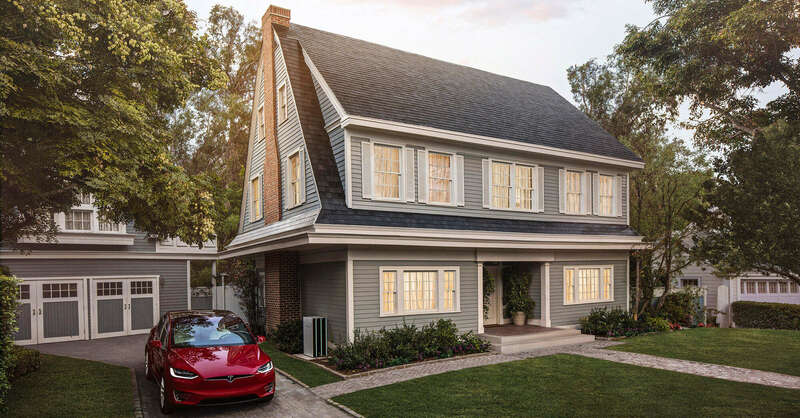 Since 2010, the average cost of installing Solar PV has dropped from $7.2 per watt of electricity power generation in 2010 to $2.7 per watt in 2015, a reduction of 63 percent in a span of six years. More precisely, the average cost of installing the bigger hybrid or on-grid batteryless Solar PV systems, which are mainly used in factories and commercial facilities, has dropped from $5.3 per watt in 2010 to $1.7 per watt in 2015, a whopping decline of 68 percent in six years. This in turn has enabled the technology to be cost-competitive while simultaneously filling the supply-demand gap for electricity in the country, which reaches upwards of 1,500 megawatts during the summer and has plagued Lebanon for decades. The estimated monetary savings from all the Solar PV projects in Lebanon grew from $191,000 per year in 2010 to $2 million per year in 2015, for a total cumulative of $7.3 million saved through 2015. These are the savings reaped by the operators of Solar PV systems in Lebanon by deferring a portion of their electricity consumption from the grid and diesel gensets to Solar PV electricity generation. On the other hand, the estimated reduction in CO2 emissions from all the Solar PV projects in Lebanon increased from 351 tons of CO2 in 2010 to 18,000 tons of CO2 in 2015. To further quantify and gauge the performance of Solar PV systems and their resulting savings, a numerical analysis was conducted for batteryless Solar PV systems implemented in 2015. These systems were built with the lowest average cost the market has seen yet, which is indicative of a continuing drop in cost for the future. 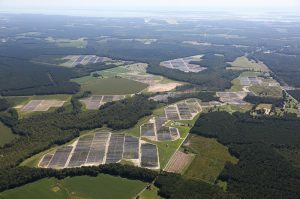 The total capital investment for these systems was $7.5 million, the operation and maintenance cost was assumed at 2 percent per year of the total capital investment, the yearly energy yield degradation for the panels was taken to be 0.8 percent per year, the discount rate was set at 5 percent, and finally, the lifecycle for these systems was assumed to be 25 years. The findings of this study reveal that the levelized cost of energy for these systems is 13.7 cents per kilowatt hour, whereas the cost for saving one ton of CO2 emissions is $198. While $198 might sound expensive to save a single ton of CO2 emissions, this number comes from relatively small, decentralized systems where economies of scale do not apply as effectively. If Lebanon scales up its Solar PV sector by venturing into utility-scale projects – upwards of 20 megawatts – the cost for emissions savings will drop significantly. The growth of the sector, although positive, did not exceed the 100 percent year-over-year mark until 2013, which is when the National Energy Efficiency and Renewable Energy Action (NEEREA) came into effect. NEEREA is a successful and ongoing financial soft loan program initiated by Banque du Liban, Lebanon’s central bank, with the support of the Ministry of Energy and Water, UNDP and the Lebanese Center for Energy Conservation. Cumulative investments in Solar PV totaled $2.3 million in 2010, grew to $9.4 million in 2013 and skyrocketed to $30.5 million by the end of 2015. Driven by falling costs, increased savings, and proven reliability, Solar PV installations surged in 2015 with 5.65 megawatts of new capacity added. In 2010, the total installed capacity for Solar PV in Lebanon was 320 kilowatts. By the end of 2015, this capacity grew to 9.45 megawatts. This constitutes an average yearly growth rate of 100 percent. Furthermore, the year-over-year growth rate for capacity increased from 41 percent in 2011 to 149 percent in 2015, while the year-over-year growth rate for the number of new Solar PV projects increased from 27 percent to 72 percent during the same time period. This indicates that the average size of a system increased from five kilowatts to 21 kilowatts. This means that trust in the technology and in local engineering companies to support bigger size systems has increased, and, in turn, led to more investor comfort in making larger investments in Solar PV. The top four sectors leading the Solar PV market in Lebanon are the commercial sector with two megawatts at 22 percent, the residential sector and the agricultural sector with 1.7 megawatts at 18 percent each, and the industrial sector with 1.6 megawatts at 17 percent. It is paramount to shed light on the fact that the share of the industrial sector needs to increase. Business survivability in this sector hinges heavily on the energy bill, and, by investing in solar PV, there are big savings to be reaped. By investing in Solar PV technologies and deferring a portion of their electricity consumption from the grid and diesel gensets, local industries and businesses will have the comfort of knowing exactly how much a portion of their electricity needs is going to cost them for the next 25 years. This kind of risk hedging is worth money. In other words, these industries and businesses will be able to produce energy at prices equal to or less than local energy rates, and at the same time ensure price certainty for a percentage of their facilities’ electricity consumption against the volatility of energy prices. This will set a clear example in Lebanon that other industries and businesses can follow, demonstrating that solar power can reduce pollution and lower operational costs at the same time. The sun is always shining. Its energy should not go to waste. Written by Eng. Jil Amine, the UNDP Project Manager for the Small Decentralized Renewable Energy Power Generation (DREG) Project, in the executive magazine blog.